It is important when redeveloping your existing applications or creating a new bespoke system that you choose the right technology. Off-the-shelf database packages may work for some businesses but many customers have found that these systems are not very flexible and in many cases their business operations have to change to accommodate the off the shelf software. Both DataEase and Ffenics have been created from the same core technology and allow developers to create bespoke applications designed around your own company's needs with easy to use menus and forms saving you time and helping maximise productivity. DataEase 8.5 full lifetime Developer version or Player license. This version of DataEase has more than 50% extra functionality compared to the previous versions, users can now send emails with attachments direct from DataEase, data in memo fields can be searched, modified and appended to, graphs and web pages can be created in DataEase forms along with Word type documents which can also be searched and modified using normal or ExecDQL. DataEase 8.5 is constantly being updated by the developers and new updated versions are made available on a frequent basis. 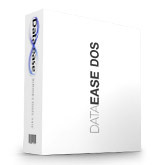 DataEase 8.5 Developer is the full version of DataEase which allows applications to be created and modified as required. DataEase allows you to easily create powerful database applications which can be used to store, retrieve and manipulate information. The applications can then be shared with other users over a network, Web published for remote access, or just used on your own PC or Laptop to manage personal data. DataEase has a wide range of features and functionality which caters for both first-time database users and professional application developers alike. This version is only available to users who already have a full licence and wish to add additional users to there network. DataEase 6.53 LegEasy 6 Windows replaces version 6.52, this version of DataEase has been extensively re worked to give the software a new look and feel. Upgrade licences will upgrade versions of DataEase for Windows (DFW) 5.0-6.52). DataEase 6.53 is fully compatibility with Windows XP, 7, 8, 2003 Server, 2008R2 Server, and 2012 Server. An 80 minute video based on the internal development techniques used by DataEase' s own consultants. It covers 7 key topics showing you how to enhance your application by using a number of features and resources available in DataEase. ("Menuing", Data-Entry Forms, QBM-vs.-DQL, Memo Fields, Exports, CDFs and scripting). This training video is ideal for DataEase 6 to 6.53 users though many of the topics covered in the courses will also benefit DataEase 7 and DataEase 8 users. This video concentrates on configuring DataEase in Network environments and discusses locking techniques and strategies. Designed to help you get the best performance out of your multi-user applications. 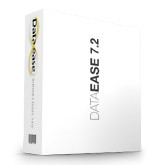 This training video is ideal for DataEase 6 to 6.53 users though many of the topics covered in the courses will also benefit DataEase 7 and DataEase 8 users. This covers the programming facilities available in DataEase 6.5 such as OML - Object Manipulation Language, CDF's, and EXEC SQL. Invaluable to anyone who is serious about making the most of the powerful programming features of version 6.5. 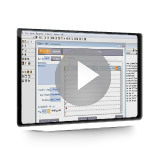 This training video is ideal for DataEase 6 to 6.53 users though many of the topics covered in the courses will also benefit DataEase 7 and DataEase 8 users. This course covers a number of key areas to get you started in DataEase and is aimed at users new to DataEase 6. It contains training notes and "do it yourself" exercises. This training video is ideal for DataEase 6 to 6.53 users though many of the topics covered in the courses will also benefit DataEase 7 and DataEase 8 users. This course is aimed at users who have followed the DataEase Introductory Training course CD or are confident with the basic concepts of DataEase. Ffenics is an information management system aimed at users with business experience and familiarity with typical computer tasks, such as word processing or using spreadsheets. 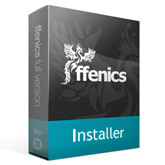 Ffenics is deliberately designed to be easy to install and maintain for those with no technical training. Applications created with Ffenics can be used on your network or be placed on the web, or both. Underlying the user-friendly interface is a powerful database engine which is able to cope with large amounts of users and vast amounts of data. Installer is a set of forms and procedures that once installed into a Ffenics application will allow a Developer to create install files (DIW Files) from a pick list. Installer for Ffenics acts as a Database within a Database and will also allow you to create selective export files from the System Relationships and External Functions (ELF) forms. Data Consultancy uses PayPal for financial transactions - a safe and easy-to-use online payment service. Once you've found an item you wish to purchase from the Data Consultancy Online Shop, click the Buy Now button. All prices shown above exclude VAT. Discounts are available on volume purchases. Please contact us for further information and payment procedures.